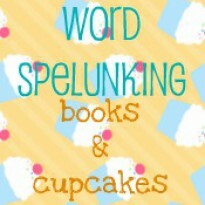 I am a huge fan of fairytale re-tellings and Liesl Shurtliff's Rump: The True Story of Rumpelstiltskin is a quirky and delightful tale that introduces readers to a more endearing Rumpelstiltskin than they may be used to.Twelve year old Rump lives in a place where one's name is one' destiny. So, it isn't easy having a name like Rump. His mother dies before she could give Rump his full name and it seems he is destined for nothing spectacular. Then he finds his mother's old spinning wheel and discovers that he can spin straw into gold. But this gift of magic comes with a heavy price: Rump can only trade the gold for something in return, but he must accept any trade offered. Instead of riches and feasts, this magic gold just brings trouble. Big trouble in the form of greedy kings, bratty queens, pixies, trolls, long lost aunts, and a snarky best friend (Red Riding Hood). 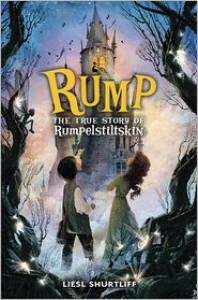 Rump sets out to find his true name and true destiny.Rump: The True Story of Rumpelstiltskin is delightfully whimsical and as heartwarming as it is funny. Liesl Shurtliff has taken a fairytale character that is often disliked and given him a quirky, touching back-story full of adventure, fun, thrills, and charming characters.Shurtliff creates a fantastical and enchanting world full of whimsy and fairytale fun. Rump's journey is an entertaining one, riddled with wonderment, exciting danger, awesome magical beings, and the unpredictable. From The Mountain to a crumbling castle to Beyond and Yonder, Rump travels far and wide to find his true name on an unforgettable adventure. Shurtliff incorporates many of the well-known aspects of the Rumpelstiltskin story, but adds a lot of her own creative and captivating touches to spin a story that is truly one of a kind. As fun and amusing as Rump's story is, the author also weaves in a great deal of heart and lovely lessons about family, love, selfishness, and acceptanceAs someone who grew up with an unusual name and often felt like the pure oddness of it defined me, I could really relate to sweet Rump. He's such an endearing, determined fella who's impossible not to root for. Red is an awesome girl full of spark, snark, and heart. I love how unexpected all the characters are and how they constantly surprised me.MY FINAL THOUGHTS: Rump: The True Story of Rumpelstiltskin sparkles and glitters like gold! Fairytale fans will enjoy getting to re-know an unforgettable Rumpelstiltskin and readers of all ages will be charmed by this fantastical story.